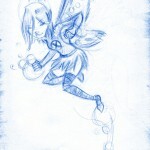 What do fairies look like? 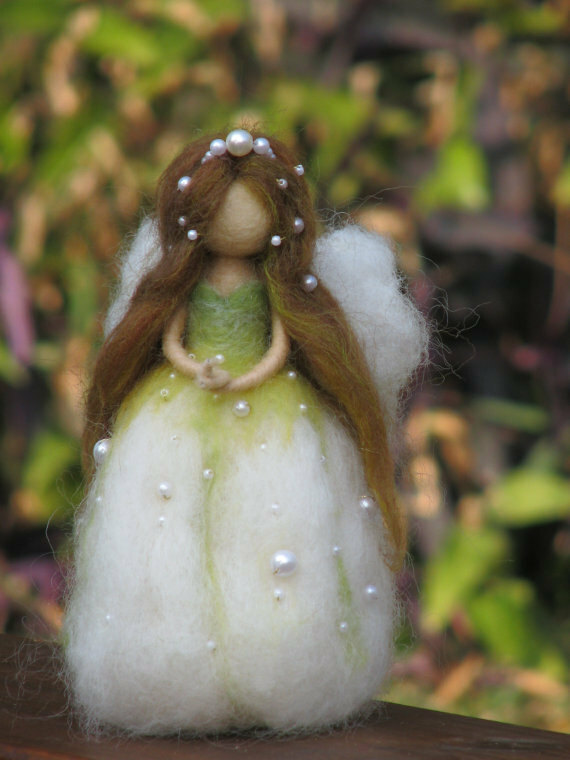 In Waldorf doll-making tradition, faces are nondescript and left entirely to interpretation. 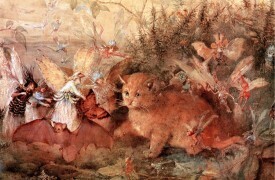 Thus Waldorf fairy dolls can take on any type of fairy characteristic—mischievous, ethereal, whatever the imagination dictates. 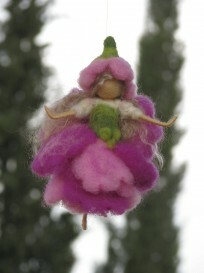 Many felting artisans use the “needle felting” technique, a delicate and magical process in itself, whereby the artisan works a tangle of meshed wool fibers by poking the fibers with a needle, causing them to entangle and allowing them to be manipulated into desired shapes. 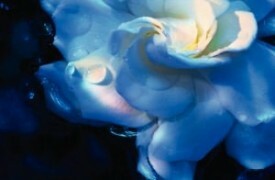 It’s truly a labor of love, as even a small object takes hours to sculpt. Zuzana Hochman (Made4uByMagic) creates Waldorf inspired fairies by using this technique. Her designs (above, with pearls, and at right, “magically” suspended in air) are both freestanding and in the form of mobiles hat can float above a baby’s dreamscape or inhabit a special corner of your home, reminding one of the magic that is ever-present, not always secretly hidden. 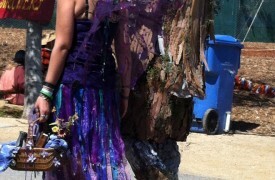 RolyzTreasures, (below, left, with the sweetheart belt) also working with needle-felting, creates eco-friendly dolls as ornamentals that can be customized to your specific color choice. 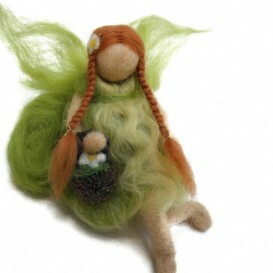 Needle-felted Waldorfs by heartfeltpassion such as this pretty green spring fairy (below, right, with the auburn braids) are small with expertly-crafted moveable parts, to position on a shelf or desk. 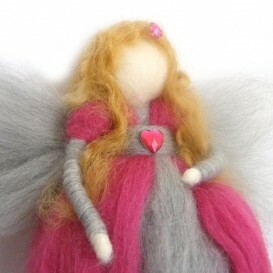 All these needle-felted fairy dolls are worthy of any collector’s shelf!